Romania – Hungarian prime minister Viktor Orbán visited Oradea (Nagyvárad in Hungarian) on 2 October. At the Partium Christian University he attended a ceremony marking the beginning of the academic year and inauguration of a new building for the University. Following the event he gave an exclusive interview to the newspaper Bihari Napló. István W. Rais: What further policy objectives for Hungarian communities abroad do you have that also relate to Hungarians in the Partium region and Transylvania? 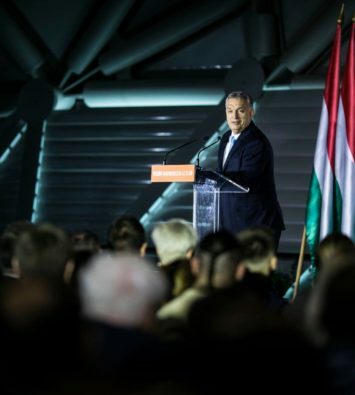 Viktor Orbán: We must create a standardised system of education in the Hungarian language, from crèche all the way to university, including a standardised vocational training system. Not only should we study and promote academic subjects together, but also trades, as Hungary has important industrial traditions. A great many of these traditions have survived, and lately have even gained in strength. I myself have had the opportunity to inaugurate a vocational training institution in Kolozsvár. We must also preserve our faith communities, create a Hungarian media system in the Carpathian Basin and across the world, and launch economic development programmes which will benefit everyone who takes part in them, enhance the overall economic performance of the Hungarian nation, and eventually earn us a return on our investment. The essence of a good economic policy lies in supporting competitive, active and dynamic individuals, families, businesses, cities and regions in a way which will eventually benefit us all through an increase in our overall performance. We aren’t taking anything away from each other with such a policy; on the contrary, we are combining our strength. Financial vulnerability and poverty amplifies a number of negative character traits. Many people ask why they should support others, and why they aren’t instead being supported themselves. For a long time this was also the case in the motherland, and anti-national communist policies emphasised this sentiment. Over a very long time they pitched Hungarians beyond the borders against Hungarians in the motherland, by claiming that whatever is given to them must be taken away from you. 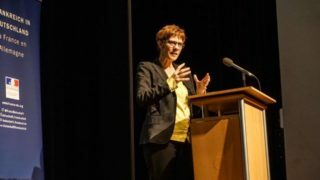 In Hungary today, however, there is an increasingly prevalent view – which will perhaps become a majority view – that it is useful to support the other parts of the nation, because eventually this will benefit us all. This is something great, because it is a precondition for the strengthening and advancement of the Hungarian nation. This is what I regard as one of the greatest results of my efforts. István W. Rais: Do you see any chance of an improvement in Hungarian-Romanian relations? The Hungarian government has been resolute in representing the case of the Roman Catholic School in Marosvásárhely in opposition to the Romanian government. Viktor Orbán: This issue needs to be seen from the right perspective. 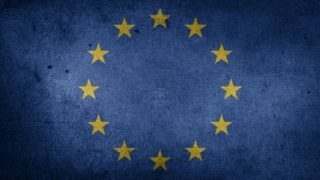 Currently the Western countries are experiencing a mass population movement and population exchange which will result in a Western Europe with a mixed ethnic composition; it will be less safe than at present, it will be exposed to the threat of terrorism and it will also be less economically competitive. At the same time, on the other side, on the eastern borders of Ukraine, there is a conflict which is causing uncertainty, and for which the outcome is impossible to predict. In times such as these, Central Europe has a once-in-a-lifetime opportunity to set out on an upward course, based on its own stability and cooperation. I believe that the decades to come will be the great decades of Central Europe. The Poles, the Czechs, the Hungarians and the Slovaks will undoubtedly achieve great results together; and the Slovenes are also in this category. There are still a few outstanding issues to be resolved with the Croatians. As for the Serbs, they’re determined to join this Central European success story. It’s likewise clear that in this ascent there is also a place for the Hungarians in Romania: we can see a number of indications of this. The question is what the Romanians want. This is something for them to decide. By launching joint economic projects and setting joint goals in cooperation with the Hungarians, they could also be part of a great Central European success story. 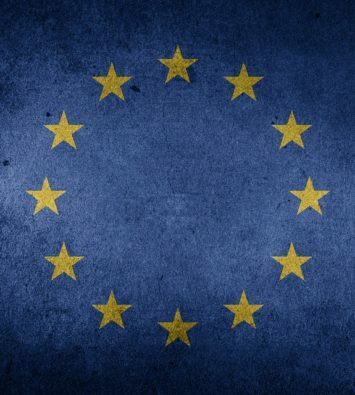 The bulk of the entire European Union’s economic growth comes from the Visegrád Four. In a “V4 + Romania” formation we could find a form of cooperation which would eventually lead to improved living standards, greater security and better prospects for Romanians in Romania as well. We’re keeping this door open. 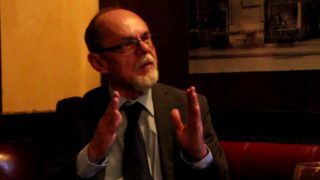 István W. Rais: While the Romanians consider this question, what real means and opportunities are available to the motherland – to the Hungarian government – to promote the protection and assertion of the rights of Hungarians beyond the borders? This is especially relevant in the light of anti-Hungarian attacks in Romania, the ominously nationalist nature of preparations for the 2018 centenary celebrations, and the fact that Romania contested the Minority SafePack minority protection package. 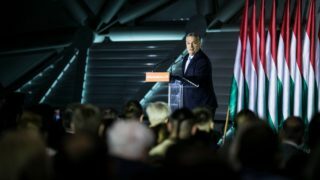 Viktor Orbán: The Hungarian government has two tasks. One of them is to stand up for the rights of Hungarian minority communities at international forums and in bilateral relations. We must make sure our voice is heard whenever we believe that minority rights are being curtailed. 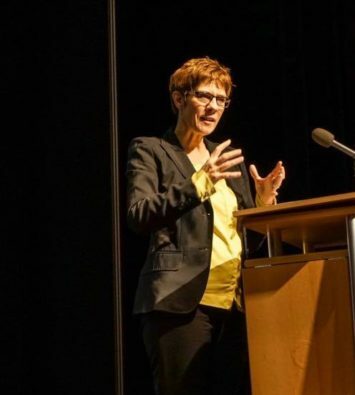 One such unfortunate incident is the case of the school in Marosvásárhely, which from a Hungarian viewpoint can only be seen as a hostile, anti-Hungarian move by the authorities. It’s hard to comprehend who would be disadvantaged by Catholic Hungarian children attending a Catholic Hungarian school. At the same time, extremely slow progress is being made on the assertion of a minority right which is also a universal right in terms of freedom of religion. Agonisingly slow progress is being made on the restitution to church communities of properties which were once theirs but were confiscated, and which they need for their religious and educational activities. These are two issues which are human rights problems on a European scale and which we would somehow like to resolve with the Romanians. But it’s also true that Hungarian policy on Hungarian communities abroad can no longer be confined to protection of rights. When we prepare to discuss these issues with the Romanians, with our other hand we must open the door through which the Romanians can enter the Central European economic region. With Serbia we’ve already managed to create a cooperation arrangement which is equally beneficial for both Serbs and the Hungarians living in Serbia. We’re making fair progress with Slovenia, and we also have excellent cooperation with the Slovaks. We’re hoping to somehow shake hands with the Romanians on a mutually beneficial system of economic cooperation. Our countries’ foreign ministers had talks in Kolozsvár on Monday, and in connection with a specific issue I’m also pleased to have built promising personal relations with Liviu Dragnea, leader of the governing party and President of the Chamber of Deputies. I’d also like to strengthen relations between our two countries’ governing parties, regardless of the fact that we belong to different international political families. Next year, 2018, will be a difficult one. The Romanians deserve honest talk from us, and we also deserve honest talk from them. We’ll somehow try to get through 2018 with both communities feeling that they’ve been able to maintain their dignity in an emotionally difficult period. István W. Rais: Do you think there is a realistic chance for the realisation of Hungarian autonomy aspirations in the Carpathian Basin and in Transylvania? I’m thinking about the rigid official Romanian position and the international environment surrounding the Catalan independence referendum. Viktor Orbán: The Hungarian government does not wish to respond to the events taking place in Catalonia, because we regard them as Spain’s internal affair. As regards autonomy aspirations, this is an expression and an idea which is viewed with a great deal of mistrust. Nevertheless, wherever we have refused to fight battles on matters of principle but have instead sought to create practical cooperation, people have realised that coming to an agreement with the Hungarians on an issue it’s not the work of the devil. This is the case with the Serbs and the issue of Vojvodina. At this point in time we’re a long way from reaching this stage with Romania. 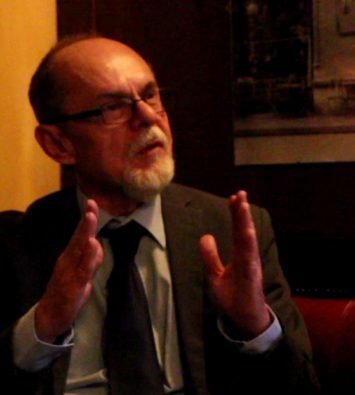 István W. Rais: Hunor Kelemen, President of the RMDSZ [Democratic Alliance of Hungarians in Romania] recently said that the RMDSZ would like to further reinforce its relations with Fidesz. There was even a meeting in Kolozsvár between the leaders of the two political organisations. How do you see relations between the two parties, bearing in mind the fact that they haven’t always been cordial? 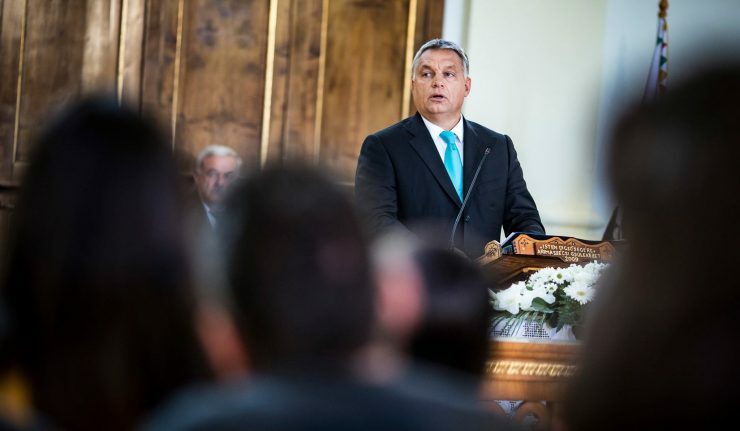 Viktor Orbán: We have memories of grievances with the RMDSZ, while they have similar memories. In a situation like this, it’s best if politicians and party leaders instead try to concentrate on the future. My starting-point is that the Hungarian government of the day must cooperate with the people who have the trust of the Hungarian minority in Romania. The numbers are clear: some 80 per cent – or an even higher percentage – of voters in the Hungarian community usually support the RMDSZ. In addition, I’m personally happy to work together with Hunor Kelemen. We have had a number of intellectually stimulating and politically useful talks, and as far as I can see we can find a common stance. On this we’ve managed to open a new chapter. István W. Rais: Recently migration pressure on Romania has intensified. How could this situation be resolved, now that more and more migrants are trying to enter Hungary via Romania? Viktor Orbán: Our political and moral starting-point is that help must be taken where there is trouble, rather than bringing the trouble here. Hungary has launched a programme which seeks to help people living in the regions from which migrants are coming to Europe. We are fulfilling the moral duty that has fallen to the Hungarian people. The issue of migration will also play a prominent role in Romanian-Hungarian relations, and in our estimation Romania will gain in importance. We have the utmost respect for Romania as it is, but in the period ahead Romania’s importance will increase as the migration pressure on Europe from that direction also increases. What we’ve seen so far has only been the warm-up. This year migrants have used the Mediterranean route, but we’re about to face a period in which they will seek to reuse all the tested routes – including the Balkans and the sea routes. In this respect Romania is an important country, and it will have the important mission of stopping uncontrolled masses of migrants flowing into Europe across its Eastern borders. Hungary also had this mission two years ago, when we had to stop the enormous mass of migrants on our southern borders. We have built a physical line of defence there, and it’s therefore not worth coming to Europe via Serbia. This, however, is increasing the pressure on Romania, which sooner or later will need to create an effective border defence system on its Eastern borders. Otherwise Romania will be flooded by migrants, and then we Hungarians will have to erect a fence on the Romanian border. We’d like to avoid this at all costs; if need be we would rather help Romania in protecting its Eastern borders. I also have faith in the Orthodox Church and the Romanian political leadership. I sincerely hope that they, too, understand that now this is about the future of Romania – the Christian future of Romania. In the years to come we can cooperate well on this basis.